I like most all of the tiles that came with Kitchen & Bath, except that all the tiles don't go past the counter top level. So what good does that do for the kitchen? 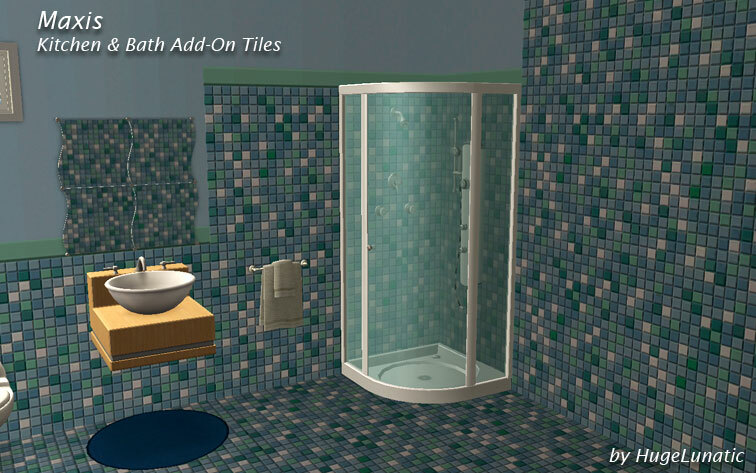 A large collection of 25 Maxis tiles from the Kitchen & Bath pack that takes the 1/3 tiled wall and makes them 2/3 and full height for use behind counters and for showers. Each picture shows the original Maxis tile in the bottom left corner, and my new match tiles are shown larger. All tiles are Base game compatible, but obviously they won't match the K&B pack if you don't have it. Thank you so much! I've wanted a full wall version of the tiny tiles for ages! Thank you, these are great! This is one of the things I've been meaning to do for a while now, and now I won't have to! thank you, these are just amazing!! Brilliant idea - and very needed - thank you! Kat - I like to build, create & write. Thanks! I always felt Kitchen and Bath was incomplete. This helps a lot! Thanks for this - these are great! I haven't got Kitchen and Bath Stuff but these in themselves are really useful. 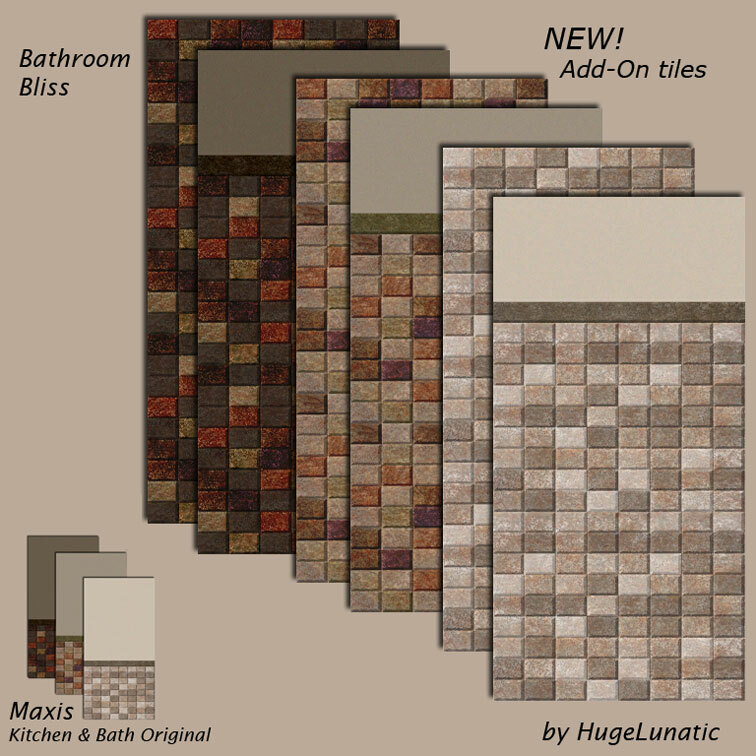 I have never found a set of downloadable tiles which suit my needs and look nice. It strange you'd think there would be loads! Any chance of any more? I think K&B is my favorite SP, I get excited when I see recolors/etc... Thanks a bunch! LOL I wondered why I never saw the originals in my game until I realized they're from K&B which I don't have. I can be SO slow sometimes ^^"
But I'm DLing them anyway bc they look really great!! Now that is really useful. Thank you so much for making these. Thank you everyone. I much appreciate it and very glad they are liked. Andre ~ more from K&B? I think the rest have been done from this pack. More of others? Depends on when my texture folder speaks to me. Thanks! 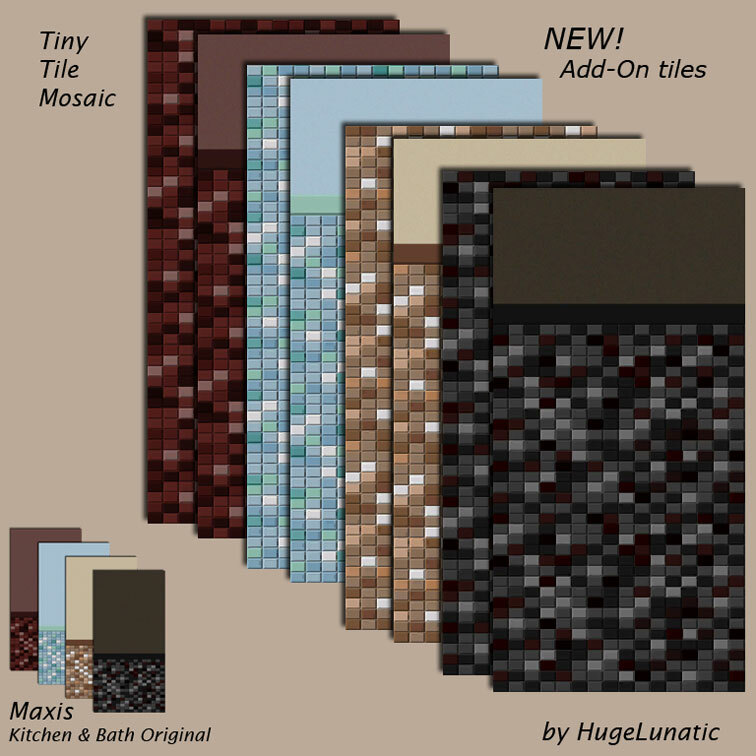 I've been wanting tiles to complete some of my baths! I totally didn't notice the ones that came with Kitchen & Bath until I saw your download! Thank you for the download! Thank you thank you THANK YOU!! I loved these tiles, too, but some of them weren't very functional. Great work!! You've got everybody listening, you've got everybody putting on a show. You've got everybody acting crazy, I'm not gonna say you don't..
*o* thanks a lot ! It's like you read my mind! There was all this tile I just could not coordinate with anything. Thanks a ton! Just found this! thank you thank you thank you thank you!! !